Sevenoaks Vine CC is fully committed to safeguarding and promoting the wellbeing of all its members. Sevenoaks Vine CC believes that it is important that members, coaches, administrators and parents, carers or guardians associated with the club should, at all times, show respect and understanding for the safety and welfare of others. Therefore, members are encouraged to be open at all times and to share any concerns or complaints that they may have about any aspect of the club with the Club Welfare Officer. 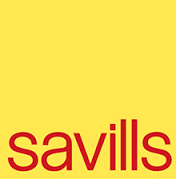 Members must wear suitable kit – for matches: a club shirt, white cricket trousers, white socks, cricket boots or other suitable footwear, and have access to a helmet, batting gloves an abdominal guard and for training session, as above but a club Savills sponsored training shirt– or as agreed with the coach/team manager. Mobile phones are not to be used or turned on in changing rooms.